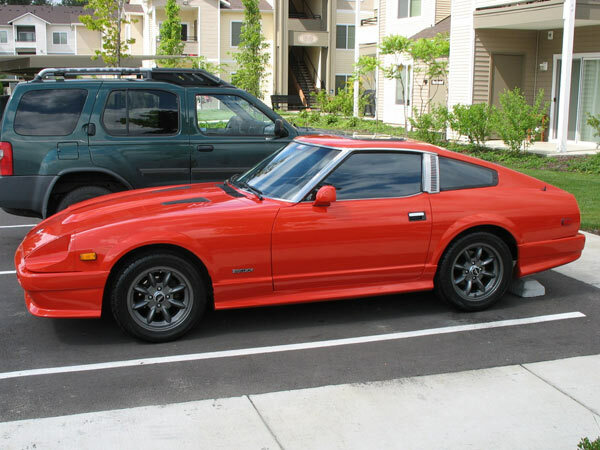 Datsun 280ZX - Scott H. - 1979 280 ZX - Puyallup, WA - Motorsport Auto Z Gallery! Special Features/Parts Installed: Gunmetal Panasport Wheels, Fiberglass body kit, Corbeau Car Seats, Clean stock engine. This is the first and only car I've ever owned. It's a real jewel and it's been well nurtured. I bought it for $1600 in Spokane, WA just before joining the Air Force in 2001. It has since been with me as far as Texas and back again to Washington.